I went to Bowery to Williamsburg with a friend with high expectations since it’s one of the most popular American restaurants/cafes in Melbourne. 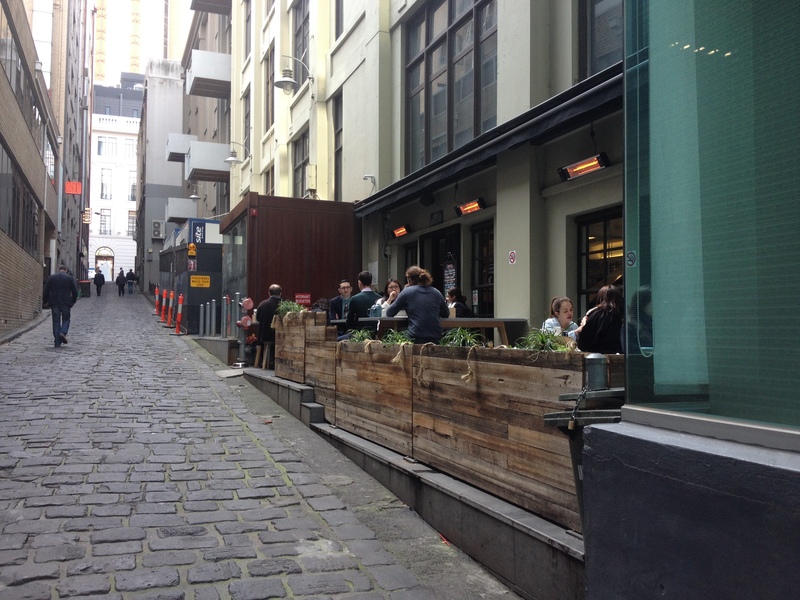 It’s a little short walk away from Federation Square and Flinders Street Station, but the cafe itself is located on a fairly quiet alleyway. The place was crowded with people and extremely noisy, especially inside, but the seats outside are mostly taken as well. I’ve only had the sandwich there, which was quite good, but I’d like to come back another day to try the coffee and perhaps the dessert as well.